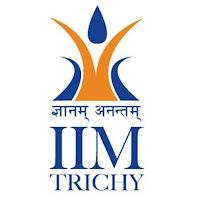 Tamilnadu Government Jobs Tamil Nadu Government Jobs: Indian Institute of Management - Trichy, - 9 Various Non Teaching Posts. 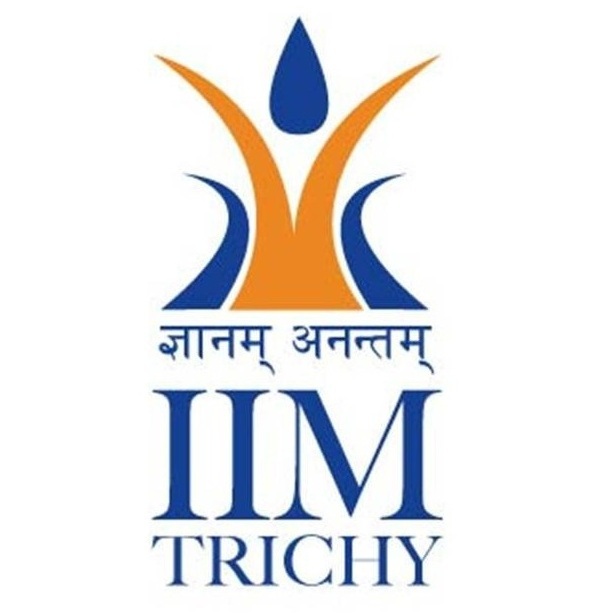 Indian Institute of Management - Trichy, - 9 Various Non Teaching Posts. Post-graduate degree in any discipline with at least Second Class (50% marks) with a postgraduate diploma in management from a reputed University / Institute OR Post-graduate degree in Law / Management (MBA) from a reputed University / Institute OR Engineering graduates with a degree / diploma in management. Should be excellent in oral and written communication in English. Should be proficient in man-management with excellent interpersonal skills. Post-graduate degree in any discipline (10+2+3+2) with at least second class (50% marks) with a post-graduate diploma in management from a reputed University / Institute OR Post-graduate degree in Public Administration or Post-graduate Degree in Management from recognized universities / institutions with at least second class (50% marks), with consistently good academic record. At least 10 years of post-qualification administrative experience in a government department or reputed Management Education Institute / University / College / commercial organization of national/international repute, out of which at least 5 years in the level of Administrative Officer. Post-graduate degree in any discipline (10+2+3+2) with at least second class (50% marks) with a post-graduate diploma in management from a reputed University / Institute OR Post-graduate degree in Management (MBA) (10+2+3+2) from a reputed University / Institute. 1 Post qualification experience of at least 8 years in administration of academic activities out of which 5 years in independently handling the academic functions of a reputed Management Education Institute / University / College. Should be proficient in designing, implementing and managing academic programs, coordinate with faculty members and students to ensure the timely delivery of academic matters. 2 The Institute encourages people from Government / PSUs / Autonomous Institutes to join on deputation. Post-graduate degree in any discipline (10+2+3+2) with at least second class (50% marks) with a post-graduate diploma in management from a reputed University / Institute OR Post-graduate degree in Law / Management (MBA) (10+2+3+2) from a reputed University / Institute. 1 Post-qualification experience of at least 8 years in general administration out of which 5 years in independently handling the administration of a reputed Management Education Institute / University / College / Commercial organization of national / international repute. 2 The Institute encourages people from Government / PSUs / Autonomous Institutes to join on deputation. Graduate degree in Commerce (10+2+3) with at least second class (50% marks) from a recognized university/institution with consistently good academic record. Should have passed Intermediate in CA / ICWA OR should have passed SAS (Commercial) / SOGE (Commercial) conducted by IA & AD. Should be well versed with General Financial Rules and FR&SR of GoI. Post qualification experience of at least 5 years at the level of Junior Accounts Officer in a reputed Management Education Institute / University / central autonomous institute / public or private sector organization of national / international repute. The Institute encourages people from CAG / IA&AD / Government / PSUs / Autonomous Institutes to join on deputation. Post-graduate degree in any discipline (10+2+3+2) with at least second class (50% marks) with a post-graduate diploma in Management / Mass Communication from a reputed University / Institute OR Post-graduate degree in management (MBA) / Mass Communication (10+2+3+2) from a reputed University / Institute. Should have excellent analytical abilities with an eye on the market conditions and be an effective leader with high degree of personal drive, entrepreneurial spirit & people skill. Should be proficient in man-management with excellent interpersonal skills. Post qualification experience of at least 8 years in placement activities out of which 5 years in independently handling placement functions of a reputed Management Education Institute / University / College / Commercial organization of national / international repute. The Institute encourages people from IIMs / IITs / Autonomous Institutes to join on deputation. Graduate degree (10+2+3) in any discipline with at least 50% marks from a recognized university / institution with consistently good academic record plus PG degree / Diploma in Materials Management from a recognized / reputed Institute. Should be excellent in oral and written communication in English. 3 Should be proficient in man-management with excellent interpersonal skills. Post-qualification experience of at least 5 years of relevant work in supervisory and executive functions in Stores and Purchase in a government department or reputed Management Education Institute / University / College / Commercial organization of national/international repute. Knowledge of GFR and other Central Government rules for procurements and an experience of handling purchases as per those rules. 3 The Institute encourages people from reputed PSUs / Autonomous Institutes to join on deputation. Post-qualification experience of at least 5 years of relevant work in a large private / public sector undertaking. Preference would be given to the candidates who have worked in / managed the office of the M.D. / G.M. of a large public / public sector organization. Graduates in any discipline with a minimum speed of 40 WPM in English typing. Should have sound knowledge of basic computer operations like MS Office, Outlook, and Internet etc. Should have good proficiency in English (both oral and written). Minimum 3 years relevant experience in office work in a reputed organization / Government Department / IIMs or IITs or any other academic institute of international repute. For Post 9 - 30 Years. 5. After filling all relevant information in the Editable PDF file, the PDF file should be saved by giving the name of the applicant as file name and sent to the E-mail id: directoroffice@iimtrichy.ac.in as attachment up to 1730 hrs. on 3-Feb-2017.